Global forced displacement is at a historic high. In 2017, 68.5 million people were displaced from their homes, with 58 percent of refugees and at least 80 percent of internally displaced persons (IDPs) living in cities. To national governments, displaced populations can be an abstraction, a complex political enigma to address with increasingly diffused policy responses. To cities, displaced populations are new urban residents who rely on city services, contribute new skills to the workforce, and bring new cultures to the community. As historic rates of forced displacement converge with increasing urbanization rates worldwide, local governments are at the forefront of responding to displacement. A new report from the International Rescue Committee, titled Urban Refuge: How Cities Are Building Inclusive Community, documents how cities around the world are showing unparalleled initiative and leadership, even with limited capacity and amidst challenging political contexts. It serves as a call to action for the private sector and international humanitarian actors to build on the efforts of cities in response to urban displacement and acknowledge local governments as equal partners. Figure 1: Urban Refuge Around the World. Cities interviewed for the report. The report highlights the efforts of 23 city governments worldwide, including case studies from cities at the forefront of current displacement, resettlement cities, and cities recovering from recent conflict. The comparative approach enabled a macro analysis to distinguish similarities and differences in cities’ experiences, policy responses and ongoing challenges to best support the displaced. Urbanization and displacement converge in cities, requiring intentional responses and strategic planning on behalf of local governments in order to ensure that all city residents, including marginalized and displaced populations, have reliable access to services. Of the cities included in this report, 11 are in countries with projected urban growth rates higher than the global average (2%) for the next five years and they host an average of 404,800 displaced persons; this is ten times more than the average displaced population in the 12 other cities, which are in countries with projected urban growth rates below 2%. Given these overlapping trends, cities are demonstrating leadership and foresight as they begin to incorporate migration into long-term strategic planning. As stated in the report, “The reality of urban displacement requires a different approach to urban humanitarian response – one that puts cities at the center based not on their capacity, but on their willingness to host displaced residents and their legitimacy to oversee the delivery of services within their jurisdiction.” While some of the cities included in the report have rich migration histories, many are experiencing new patterns of migration. The latter need to develop a capacity and understanding of how to incorporate migration and the unique vulnerabilities of displaced populations into city planning policies. Of the 23 cities included in this report, 13 have a strategic plan to support displaced persons and address migration; however, only 5 of those cities have a dedicated budget for this work. Comparatively, while humanitarian response organizations are attuned to the unique vulnerabilities of displaced populations, they are primarily built around refugee camp service delivery models which are ill-suited for urban displacement. Humanitarian organizations are beginning to learn how to work within the jurisdiction of a city government and should continue to align programming with existing city goals. As displacement becomes increasingly urban, partnership with local governments, and ensuring that humanitarian programming also works towards existing strategic and development goals, is critical. While all cities included in this report expressed their willingness to support displaced populations, they also highlighted barriers that limit their capacity and scope. The following diagram shows the top request from each city, demonstrating that access to financial resources, greater representation at national and international levels and technical resources and capacity building are primary supports needed to expand city policies for displaced populations. Figure 3: Top Requests from Cities. There is an opportunity for cities, the humanitarian community and the private sector to leverage their comparative strengths towards inclusive city planning, which the International Rescue Committee defines as strategic planning to ensure that plans, policies and programs explicitly include the needs and perspectives of displaced and marginalized residents. As cities are already taking the lead, humanitarian organizations and the private sector should consider cities as equal partners in urban humanitarian response. Doing so would increase overall efficacy, reach and sustainability. To learn more about the case studies, as well as inclusive urban planning policy recommendations for cities, the private sector and humanitarian organizations, read more at Urban Refuge: How Cities Are Building Inclusive Communities. UNHCR Global Trends: Forced Displacement in 2017. 2018. Available at: http://www.unhcr.org/5b27be547.pdf. Accessed 7 September 2018. ODI (2016). 10 Things to Know about Refugees and Displacement. Available at: https://www.odi.org/sites/odi.org.uk/files/resource-documents/11168.pdf. Accessed 03 October 2018. United Nations Population Division, Department of Economic and Social Affairs (2018). Urbanization Prospects: The 2018 Revision. Available at: https://population.un.org/wup/. Accessed 2 October 2018. Yulin Chen is an associate professor in the Department of Urban Planning within the School of Architecture at Tsinghua University, China. With a background in urban planning and sociology, Dr. Chen’s research focuses on urban governance in megacities, housing policy for migrants, migrants’ integration and spatial responses. During the academic year 2017-2018, Dr. Chen was a fellow with the Special Program for Urban and Regional Studies (SPURS) at MIT Department of Urban Studies and Planning. In late 2017, a major housing fire in Beijing triggered a great debate about housing for urban migrants. The fire in an informal mixed use building in Daxing district of Beijing was caused by an electrical wiring problem in a cold storage unit in the basement. Nineteen people who had been living in the building died; seventeen of them were migrants. After this tragic loss of lives, the Beijing municipal government implemented a citywide safety inspection of informal housing, with the goal of closing down unsafe living conditions. The outcome became very controversial. When the city declared thousands of informal places not fit for residential use, thousands of migrants were displaced, forced to vacate their homes in a short period of time. 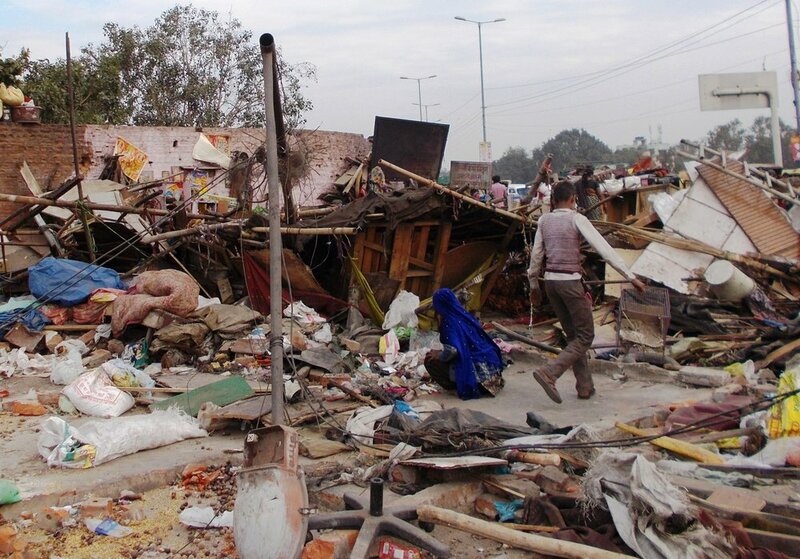 From a legal perspective, the demolition of informal structures was in accordance with the law. However, from the perspective of human wellbeing, this action destroyed stable social living conditions and made it harder for migrants to sustain themselves in Beijing. This action also caused great losses in rental income to Beijing villagers who owned these buildings. The construction of illegal housing in Beijing cannot simply be blamed on local residents who built the informal housing, nor on migrants who rented the informal housing. Rather, this event reflects structural challenges in rapidly transforming China, which include both the imbalance between rural and urban areas as well as a lack of housing options for migrants in megacities. The first chanllenge lies in unequal development between urban and rural areas. Since the country’s opening-up policy in 1978 and the reform of household registration system since the 1980s, China has experienced an economic boom. Hundreds of millions of rural residents migrated to cities, providing a boundless labor force to drive the economic development. For example, Beijing’s migrant population increased from 2.6 million to 7.0 million between 2000 and 2010, with their proportion of the total population increasing from 18.9% to 35.9%. This large-scale migration results in a tremendous mismatch between people and housing: while large cities become more crowded and short of housing, small cities and villages are declining and becoming vacant. This problem of regional-balanced development needs to be addressed, especially in a country like China with a large population and a vast territory. The second challenge comes from the institutional urban-rural division. Since the founding of the People’s Republic of China in 1949, Chinese local governments have put most of their construction and management efforts in urban areas rather than in rural areas. As a result, most of the informal housing is built in peri-urban areas and suburban areas, where low levels of management and regulation allow local residents to build housing for rent on their farmlands (Wu, 2002). As more residents migrate to Beijing, this informal housing supply on the outskirts is expanding rapidly. However, unlike urban residents who can sell their housing for profit, rural villagers cannot sell their housing on the market, as their land use rights were allocated by the government to them as farmers to preserve agricultural land (Zhao, 2017). Therefore, to take advantage of the large rental market, rural villagers in peri-urban areas build informal housing on their land to rent to migrants. 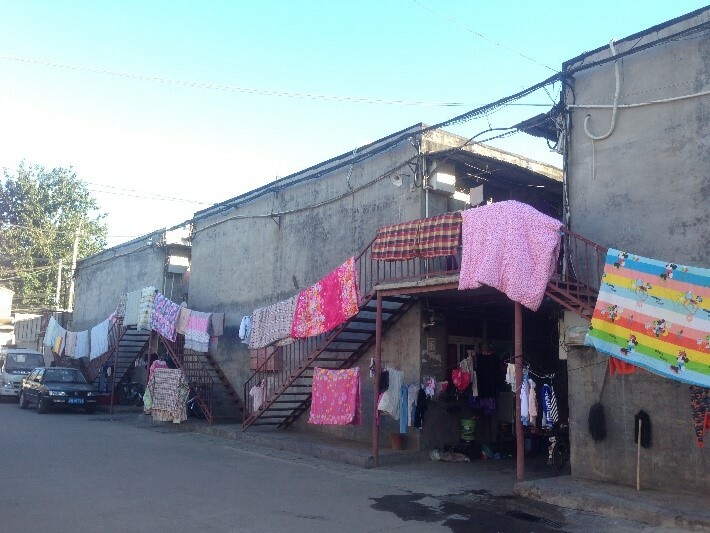 Although the construction is illegal, it brings the villagers and the village committees a lot of profit and provides migrants with low-income rental housing. Even the township governments turn a blind eye to this kind of construction to enlarge their revenue. From this point of view, the safety inspection of informal housing in Beijing may be considered a reactionary response due to the government’s long-term neglect and management of rural areas. Third, attention also needs to be given to migrants’ housing choice. Migrants’ incomes are generally not much lower than that of local citizens in most Chinese cities. In large cities like Beijing, while some migrants succeed in buying housing, most of them are excluded from purchasing housing because of soaring housing prices, and they are also excluded from the publicly sponsored affordable housing system because they do not possess a local household registration certificate. Therefore, most rural migrants have to live in rental housing. As many previous studies have pointed out, most of these migrants want to spend as little as possible on their urban residences in order to save money to build housing in their hometowns. Therefore, even if formal housing is available, rural migrants tend to choose an informal residence with cheaper rent (Wu, 2002; Zheng et al, 2009). This situation poses a policy and program question to the government: What kind of housing and affordability is suitable for migrants, if affordable housing is to be built for them in the cities? To address these problems, in the long term, the Chinese central government needs to pay more attention to balancing development between rural areas and urban areas, in order to restore a match between the population and the space available. In the mid-term, the shortage of affordable housing in large cities needs to be addressed through multiple approaches. One helpful new approach was announced in 2017, when the Chinese central government released a new policy to allow village committee to build formal rental housing on rural land where farm houses are built, which could be a good news for both migrants and local villagers. In the short term, local governments need to be fully prepared for the possible social outcome of implementing their policies. The latest news from Beijing says that a complex of migrant rental apartments will be built on the site of the burned informal housing. Hopefully, similar residential opportunities will be built elsewhere. If it is, the tragic fire of November 2017 would have led to more inclusive development in China. Water is a right, not a commodity! In honor of the International Day against Dams and for Rivers, Waters and Life MIT DRAN is honored to re-publish this statement by Brazil’s Movimento dos Atingidos por Barragens (MAB) or Movement of People Affected by Dams (MAB). Large infrastructure projects like hydropower dams continue to be a leading driver of dispossession and displacement for communities across the globe, disproportionately impacting rural and indigenous communities in the Global South. MAB is one of the world’s largest social movements struggling for the rights of people affected by dams and an international reference for people driven energy sovereignty. March is a special month for people affected by dams. 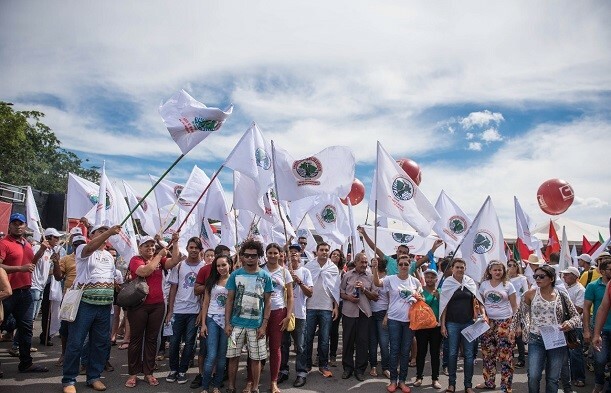 Since the first National Meeting (of MAB) in 1991, March 14th became the mark of this agenda in Brazil. In 1997 the date broke borders when, during the first International Meeting of MAB, the International Day against Dams and for Rivers, Waters and Life was established. Since this point, March 14th serves to unify mobilizations around the world in defense of the rights of millions of people affected by projects involving hydroelectric dams, mining waste or accumulation and channeling of water. Since 2016, this unity has gained strength in Latin America with the launch of the Movement of People Affected by Dams (MAR), which acts as a regional platform for a diverse set of national organizations that daily are building a vision of popular energy sovereignty on the continent. Now, in 2018, an event of great importance for the militants of the fight against dams will be the epicenter of struggles in the month of March. In parallel to the World Water Forum, the World Alternative Water Forum (FAMA) will be held in Brasilia from March 17th to the 22nd. A few kilometers from the Brazilian federal capital will separate completely opposite projects. The "forum of the transnationals"- the World Water Forum- will bring together hundreds of representatives of governments and transnational corporations that support the privatization of water to generate profits and accumulation of capital wealth. These are large corporations such as Nestlé and Coca-Cola, which intend to appropriate this natural asset to fatten the sums of profits sent annually to their shareholders. At the other (ideological) end- at FAMA- will be present thousands of workers from grassroots movements, environmentalists and NGOs that struggle to make water a public good, so that water is controlled and used at the service of the communities. FAMA rejects any form of privatization: from rivers, springs, underground reserves and sanitation. It is no coincidence that the "forum of the transnationals" is held in Brazil. Of all the freshwater available in the world, 12% is in Brazilian territory, which represents the largest reserve in the world - including Alter do Chão and Guarani aquifers. What is at stake is a huge strategic reservoir of water that could be commodified to serve the interests of a handful of business owners. In addition to the water reservoirs, the control of their distribution is also at stake. In Brazil, despite the wave of privatization in the 1990s and the coup of 2016, more than 90% of sanitation services are public. In almost all cases where privatization did take hold, service worsened and costs increased. The most symptomatic example is that of ‘Itu’ in Sao Paulo where during an eight-year period of private management (2007-2015), the worst rationing of services ever recorded in the city's history was experienced and, later, led to the re-municipalizing of the service. We have already experienced the results of the privatization of hydroelectric plants and the loss of energy sovereignty: worsening violations of the rights of affected populations, rising tariffs/costs and worsening services. Therefore, we must fight against this institutionalized and legalized assault process called privatization. With the coup established in Brazil in 2016, the commodification of all aspects of life has been placed as a priority of the State. With water, it will be no different. But, with 27 years of existence to be celebrated this March 14, the Movement of Dam Affected (MAB) understand that no trend in history is irreversible. We need to defend democracy and defeat the coup completely. 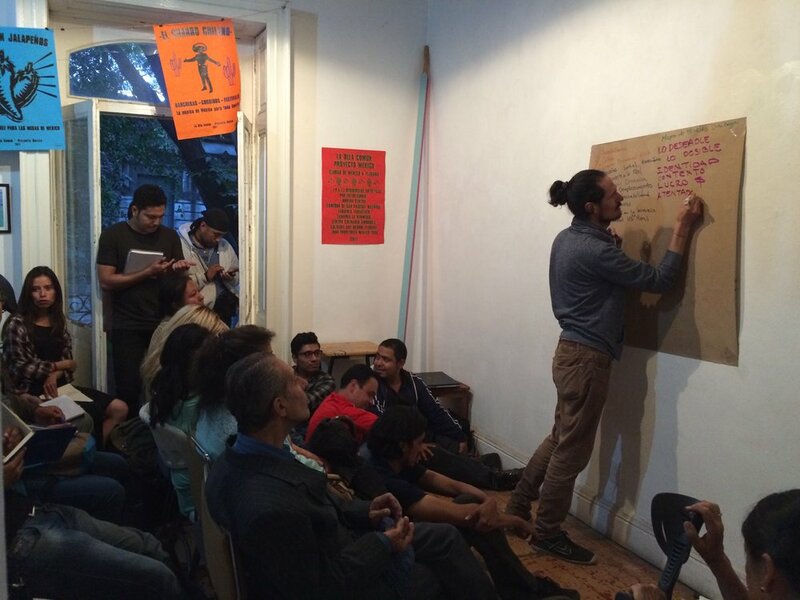 In our last National Meeting we decided to fight with all our strength for a popular energy project that guarantees sovereignty, distribution of wealth and popular control over energy resources. In addition to today’s day of honoring the struggle, on March 8th women from around the world united for International Women's Day. With the question of water, we know that it is women who suffer most from the consequences of scarcity or difficult access to this natural good. Therefore, women affected will be the protagonists and leaders of all the struggles of this month. In view of this, MAB has called on the population affected by dams in Brazil to join ranks in the mobilizations that will take place in March, with a special focus on FAMA, in Brasília. It is our commitment to defend the waters, rivers and life against any form of privatization. Therefore, we affirm that "water is a right, not a commodity". On behalf of the MIT Displacement Research Action Network we are honored to share with you our feature virtual symposium “New Directions in Displacement Research” an examination of recent scholarship on displacement and evictions from the Global North and South. New research from the Urban Crises Learning Fund's Stronger Cities Initiative explores the tools available to humanitarians responding to urban crises, and asks whether they are fit for purpose. It is an honor for DRAN's spring 2016 conference, "The State of Hydropower Projects Today" to be featured in the January/July 2016 edition of Resettlement News, a specialized publication that has appeared in India bi-annually for nearly 16 years. DRAN is continuing its work documenting displacement in Boston's Chinatown district. Chinatown Displacement Project is a data collecting and mapping platform documenting the gentrification and displacement in Chinatown, Boston. The platform is developed by MIT's Displacement Research and Action Network in collaboration with the Chinese Progressive Association. Boston’s Chinatown is the third-largest Chinatown in the nation and serves as the social, cultural, political, and economic center of the broader Chinese community of New England. Today, the neighborhood is one of the most rapidly gentrifying part of the city, where new luxury residential developments drive up property values. As a result, hundreds of families were displaced and many are at risk of being evicted. Through creating exploratory and interactive visual representation of displacement and market-led gentrification, we aim to support advocacy work of organizations preventing and responding to evictions and displacement. Learn more by visiting the full project website here. Safe and Sound is a MISTI funded research collaboration between researchers from MIT's Displacement Research and Action network and their counterparts within Cairo University and the American University in Cairo (AUC). The project explores the longstanding problem of informality, unsafe housing, and potential displacement in Cairo. The project will allow for faculty and students to come together with experienced Egyptian practitioners, academics and government officials to discuss various topics such as the ongoing efforts of slum eradication, visions of urban change in a post revolution Egypt, and the impact of the Syrian refugee crisis on housing, informality, and internal displacement. The DRAN Team is excited to announce the start a new project funded by the Samuel Tak Lee Research Fund. The project will compare compensation frameworks for displaced individuals and communities across five different countries—USA, India, South Africa, Colombia and Brazil—along with international standards from the World Bank and various UN bodies. Each national compensation framework will be analyzed in practice through 5 detailed case studies using qualitative and quantitative methods. Key issues to be addressed in the project will include: the different ways in which landed property is assigned value; the rights afforded to communities in negotiating for compensation; and some possible alternative compensation frameworks that could be pursued by governments or international agencies. DRAN is extremely appreciative of the STL Fund for making this exciting new project possible. You can read the abstract for the proposal on the STL website by clicking here. This proposal relates to ‘land and property rights’ and ‘sustainable urbanization’ in the RFP. Each year, millions of urban, peri-urban and rural residents lose access to land through ‘takings’. Governments have always asserted their power to expropriate or ‘take’ land owned or occupied by their citizens, provided that they don’t render them worse off. Typically, this is sought to be done through a “fair” process of land acquisition, as well as a “fair” compensation for the losses resulting from the ‘taking’. Other actors such as land lords or developers are also often enabled through laws and policies to displace residents, which constitute a form of land and housing dispossession although not ‘taking’ in strict legal sense. At the heart of these land dispossessions is the question of what constitutes fair compensation or assistance. Most land takings lead to disputes, with a serious impact on public order, and resistance from those whose lands and houses are taken. In this project, we propose to analyze the legal and policy frameworks that govern property in land in a select number of countries, from both global North and South, and specifically examine the compensation and assistance frameworks that are used. The main purpose of this project is to understand the legal and policy frameworks used by different actors – private developers, governments, and land users, owners/occupiers – to estimate what constitutes fair compensation and assistance in a context of hyper urbanization and commodification of land. To do this, we will analyze 5 selected countries (US, India, Brazil, Colombia, South Africa), which have been dentified by our research group, the Displacement Research and Action Network (DRAN). The purpose is to examine how far the laws, policies and practices of these countries measure up against global standards and tools that are available, such as the Eviction Impact Assessment Tool1, and the UN Basic Principles and Guidelines on Development-Induced Displacement, for estimating losses from land takings and displacement. A comparison of the different countries may yield useful lessons for other countries such as China, by showing how different models of land governance may lead to different outcomes.